Marotta Controls Recognized for Stellar Program Performance on the International Space Station - Marotta Controls, Inc.
Montville, NJ – Marotta Controls has been recognized by Boeing and NASA for outstanding performance on the International Space System’s Active Thermal Control System (ATCS) program. Mohammed Nasrullah of Boeing and George McMonigle of NASA visited the facility to personally hand out awards to each member of our team in appreciation of the dedication and extended effort in the execution of this program. The Marotta ATCS valve and electronic control unit (ECU) are used to control flow through various segments of the International Space System’s Active Thermal Control System. This critical system uses ammonia to remove heat from the interior of the ISS to keep the electricity-generating solar panels cool. The original program began for Marotta in the mid-1990s with deliveries completed in 2004. 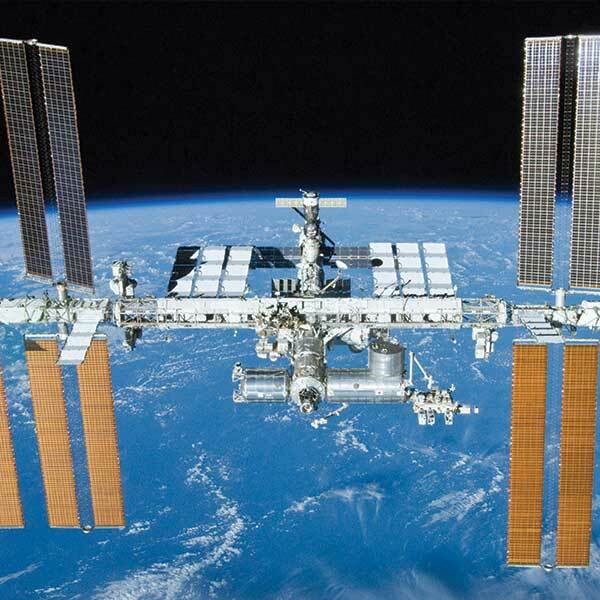 With the ISS extending its scheduled time in orbit, a requirement to procure additional ATCS valves and ECUs developed in 2013. With a ten year manufacturing gap between these units Marotta was faced with a great challenge of restarting the assembly line. This process included restoration of original test equipment and manufacturing tooling, identification of obsolete parts and processes, finding new suppliers and updating the drawing package where necessary. With outstanding performance from each department including Engineering, Program Management, Quality, Finance and Operations the program team was not only able to overcome these challenges but was able to complete this program ahead of schedule and under budget. The Marotta team delivered the ATCS valves and ECUs one month ahead of schedule and was able to finish the program substantially under budget.